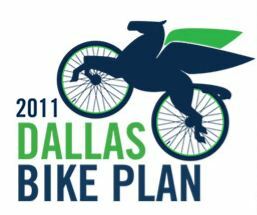 On Thursday, January 20th, 2011 the city of Dallas will have the 3rd public meeting of the 2011 Dallas Bike Plan project. At the meeting, they will present the revised drafts Dallas Bikeway System network (based on public comments at the September 23rd meeting). They will also be presenting recommendations on priority routes, bicycle safety and awareness education, bicycle parking, and guidance on the design of bicycle lanes, shared lane markings, cycle tracks, and wayfinding. Please check back soon for more details, including time and location. If you haven’t already done so, please click on the “Join Our Mailing List” link in the upper left hand corner of their page to receive a copy of the project newsletter as well as emails about upcoming project events.